The 141st birth anniversary of the Founder of Pakistan Quaid-e-Azam Muhammad Ali Jinnah is being celebrated with national zeal throughout the country Sunday (today). It is a public holiday and national flag will be hoisted atop public and private buildings. The day dawned with Quran recital at the Quaid’s mausoleum in Karachi. A change-of-guards ceremony is being held at Mazar-e-Quaid.The federal government had already announced week-long celebrations in connection with the birth anniversary of the founding father, from 19th-25th of this month. The celebrations aimed at educating youth about Quaid’s vision and Pakistan’s ideology. As part of these celebrations, various events, including seminars, debates, exhibitions and shows of performing arts have been held across the country.The grand ceremony in this connection will be held today at Liaquat Gymnasium, Sports Complex in Islamabad. Several special seminars and ceremonies have been arranged across the city to pay tribute to the great leader. Live television and radio programmes will be conducted and documentaries related to his life and work will be telecast. 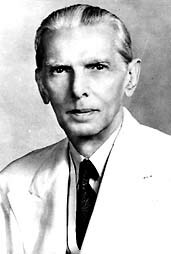 Talking to media here on Saturday, Nazaria Pakistan Trust (NPT) Secretary General Shahid Rasheed said that the Quaid always gave the message of faith, unity, discipline, belief, determination and hard work through his speeches and acts to counter all challenges.